Mobile phone extendable selfie picture. 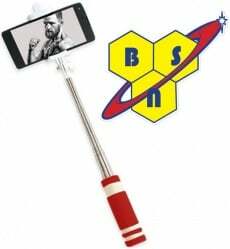 photo stick by BSN. Have a question about Selfie Stick? What is it, what does it do, how and when to use or something else? Ask us.